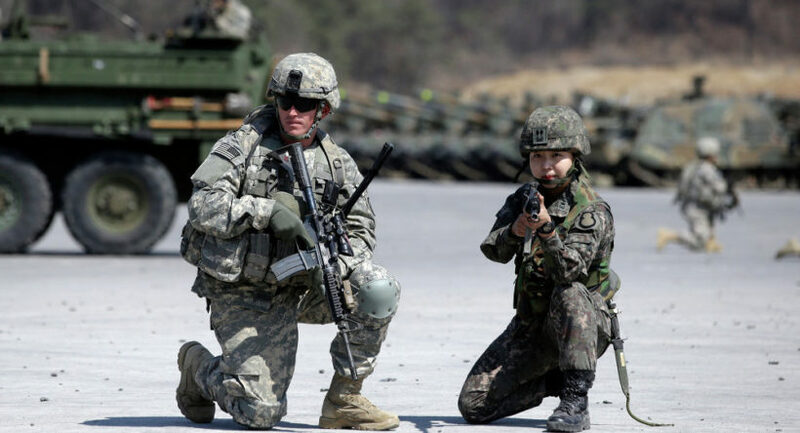 (Compiled by Arkansas Democrat-Gazette staff from wire reports) — South Korea and the United States struck a deal Sunday to increase Seoul’s contribution for the cost of the American military presence on its soil. The South Korean Foreign Ministry said in a statement that Washington had withdrawn its earlier demand that South Korea provide “operational support,” helping to pay the costs of the U.S. soldiers, aircraft carriers and warplanes used in joint military exercises with the South. During his election campaign, Mr. Trump suggested he could pull back troops from South Korea and Japan unless they took on a greater share of the financial burdens of supporting U.S. soldiers deployed there. But the president said in a Feb. 3 interview on CBS’ Face the Nation that he had no plans to withdraw troops from South Korea. Compiled by Arkansas Democrat-Gazette staff from wire reports on Feb. 11. Reprinted here for educational purposes only. May not be reproduced on other websites without permission. b) How many U.S. troops are stationed in South Korea? For how many years have we had troops there? 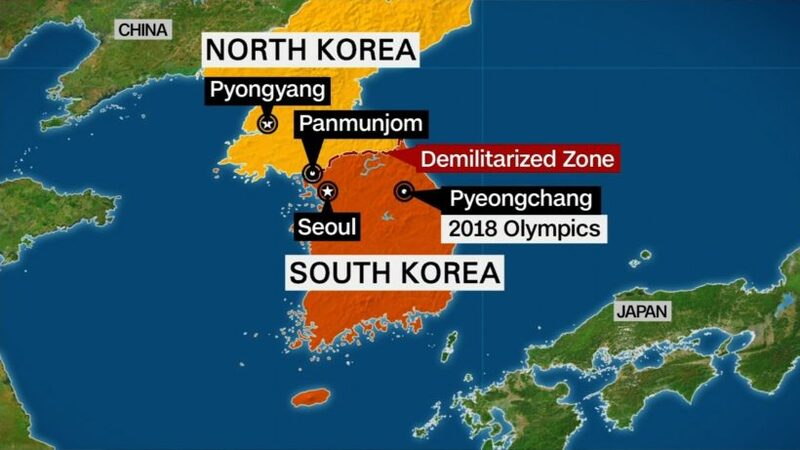 When did South Korea begin paying part of the cost? c) Approximately what percent of the cost does South Korea pay for the U.S. military presence there? d) Why has South Korea agreed to pay more for the U.S. military presence there? f) From “Background’: President Trump has frequently called on Washington’s allies to increase their military spending and earlier this month pointed out again that U.S. forces in South Korea were “very expensive.” He has insisted South Korea (and others) should pay more, noting that many have strong economies are are able to do so. He has questioned why American taxpayers should foot the bill for protecting other countries, while acknowledging it is also a benefit to the U.S.
Do you support President Trump’s efforts to get our allies to pay their fair share? Why or why not? – Explain your answer. About 28,500 U.S. troops are stationed in South Korea, where the United States has maintained a military presence since the 1950-53 Korean War. The large U.S. military presence is a symbol of the countries’ alliance. South Korea began paying for the U.S. military deployment in the early 1990s, after rebuilding its war-devastated economy (from the 1950-53 Korean War). Last year, South Korea provided about $830 million, roughly 40 percent of the cost of the deployment of the U.S.troops, whose presence is meant to deter aggression from North Korea. Approximately 70 percent of South Korea’s contribution covers the salaries of some 8,700 South Koreans who are employed by the U.S. military, providing administrative, technical and other services for the U.S. military. President Trump has frequently called on Washington’s allies to increase their military spending and earlier this month pointed out again that U.S. forces in South Korea were “very expensive.” He has insisted South Korea (and others) should pay more, noting that many have strong economies are are able to do so. He has questioned why American taxpayers should foot the bill for protecting other countries, while acknowledging it is also a benefit to the U.S.
South Korea’s foreign ministry welcomed the agreement in a statement, saying it has worked to produce a “win-win” deal with the U.S.
Seoul and Washington have maintained a military partnership since the end of World War II, mainly to deter North Korean aggression, while Pyongyang’s regime has cited the presence of U.S. troops in South Korea as a threat.